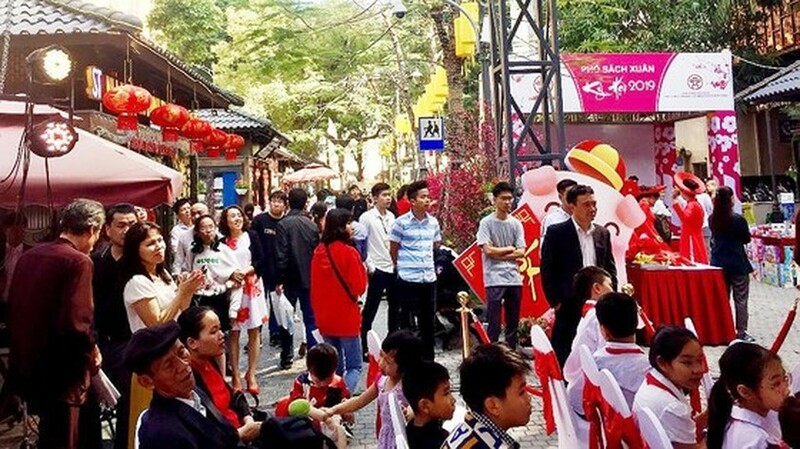 Hanoi’s Book Street Festival marking Tet holidays opened in 19/2 and Tran Hung Dao streets on February 7 (falling on the third day of the first lunar month). 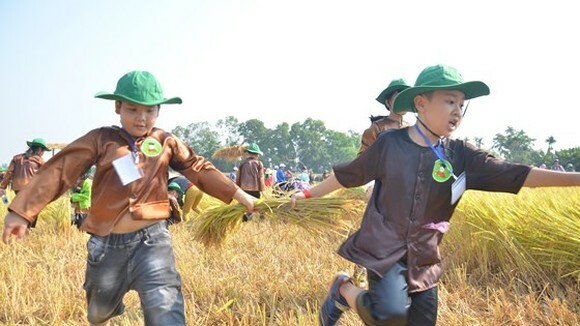 The book street festival is the opening event of a program featuring a series of activities promoting reading habit, said Director of the Department of Information and Communications of Hanoi, Nguyen Ngoc Ky. 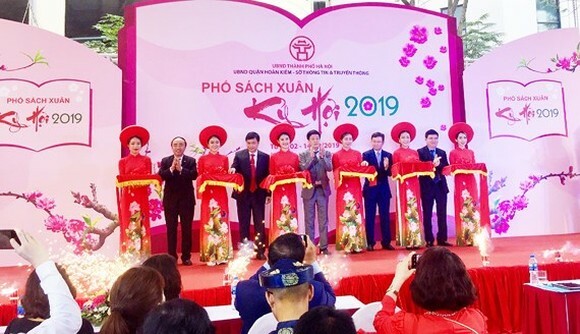 The festival includes book exhibition, discussions on books and reading culture, calligraphy performance, talk on calligraphic art, exchanges between writers and readers, sand painting contest, traditional art performances, folk sport games and among. 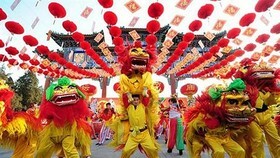 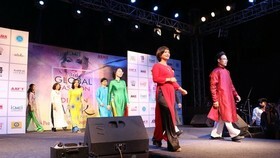 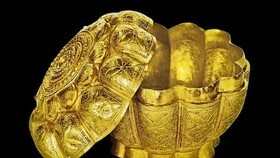 Visitors will have also a chance to enjoy Lucky Draw and discount up to 50 percent. 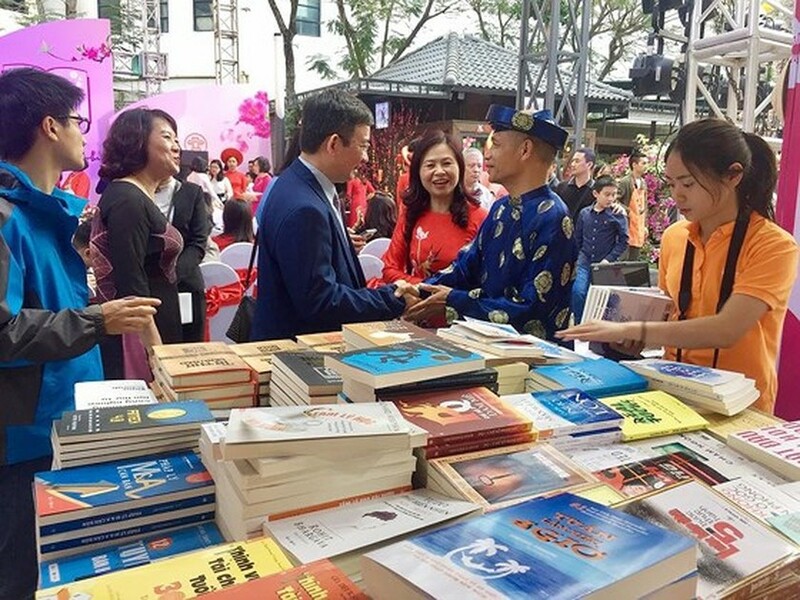 On the opening ceremony, readers participated in a talk on books for Tet with Dr. Nguyen Manh Hung and and exchange with writer Nguyen Thanh Tung. 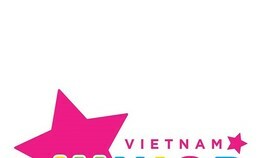 The book street festival will run until February 14. 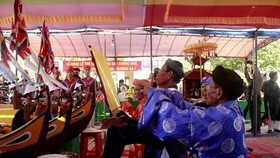 The event aims to promote reading habit in the community. 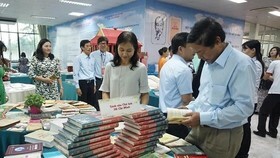 The book festival attracts many visitors.